The title of the famous Beatles song does not exactly apply to Devlin’s Angle. The online column (now run on a blog platform, but unlike most blogs, still subject to an editor’s guiding hand) is in its twentieth year, but it actually launched on January 1, 1996. In last month’s column, I looked back at the very first post. It was a fascinating exercise to try to put myself back in the mindset of how the world looked back then, which was about the time when the World Wide Web was just starting to find its way onto university campuses, but had not yet penetrated the everyday lives of most of the world’s population. That period of intense technological and societal change – looking back, it is clear it was just beginning, in the first half of the 1990s being more evolutionary rather than the revolutionary that was soon to follow – and the strong sensation of change both underway and pending, is reflected in some of the topics I chose to write about each month in that first year. Here is a list of those first twelve posts, with hyperlinks. Along with essays you might find in a mathematics magazine for students (February, June, July, August, November, December), there are reflections on where mathematics and its role in the world might be heading in the next few years. January’s post, about the growth of computer viruses in the digital domain, was clearly in that Brave New World vein, as I noted last month, and in February I focused on another aspect of the rapid growth of the digital world, with a look at the ongoing debate about the future of Artificial Intelligence. Though that field has undoubtedly made many advances in the ensuing two decades, the core argument I summarized there seems as valid today as it did then. Digital devices still do not “think” in anything like a human fashion (though these days it can sometimes be harder to tell the difference). The posts for April, May, and October looked at different aspects of the “Where is mathematics heading?” question. Of course, I was not claiming then, nor am I suggesting now, that the core of pure mathematics is going to change. 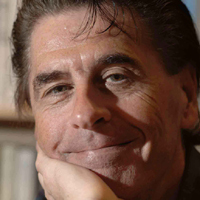 (Though the growth of Experimental Mathematics in the New Millennium was a new direction, one I addressed in a Devlin’s Angle post in March 2009.) Rather, I was taking a much broader view of mathematics, stepping outside the mathematics department of colleges and universities and looking at the way mathematics is used in the world. The October post, in particular, turned out to be highly prophetic for my own career. Shortly after the terrorist attack on the World Trade Center on September 11, 2001, I was contacted by a large defense contractor, asking if I would join a large team they were putting together to bid for a Defense Department contract to find ways to improve intelligence analysis. I accepted the offer, and worked on that project for the next several years. (From my perspective, that project and the work that followed did not end uniformly well, as I lamented in an AMS Notices opinion piece in 2014.) When that project ended, I did similar work for a large contractor to the US Navy and another project for the US Army. In all three projects, I was living in the kind of world I portrayed in that October, 1996 column. In fact, my professional life as a mathematician for the entire life of Devlin’s Angle has been in that world – a way of using mathematics I started to refer to as “mathematical thinking.” In a Devlin’s Angle post in 2012, I tried to articulate what I mean by that term. (The term is used by others, sometimes with different meanings, though I see strong overlaps and general agreements among them all.) That same year, I launched the world’s first mathematical MOOC on the newly established online course platform Coursera, with the title “Introduction to Mathematical Thinking”, and published a book with the same title. 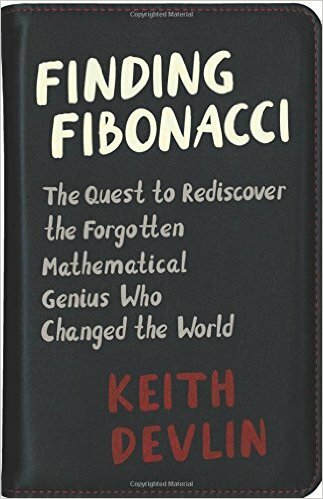 With the world as it is today, in particular the pervasive (though largely hidden) role played by mathematics and mathematical ideas in almost every aspect of our lives, I would hazard a guess that there are far more people using “mathematical thinking” than there are people doing mathematics in the traditional sense. If so, that would make the professions of mathematician and mathematics educator two of the most secure careers in the world. For there is one thing in particular you need in order to engage in (effective) mathematical thinking about a real world problem: an adequate knowledge of, and conceptual understanding of, mathematics. 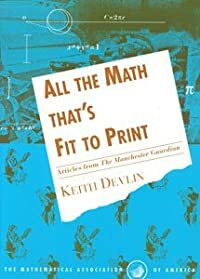 In fact, that need was ever so, but it often tended to be overlooked in the pre-digital eras, when doing mathematics meant engaging in a lot of paper-and- pencil, symbolic computations, which meant that the bulk of mathematics instruction focused on computation, with wide ranging knowledge and conceptual understanding often getting short shrift. But those days are gone. Today, we carry around in our pockets devices that give us instant access to pretty well all of the world’s mathematical information and computational procedures we might need to use. (Check out Wolfram Alpha.) But the thinking still has to be done where it always has: in our heads.